Built to the top-quality specifications, with a contemporary/modern stylish design penthouse of 11,861 sf. 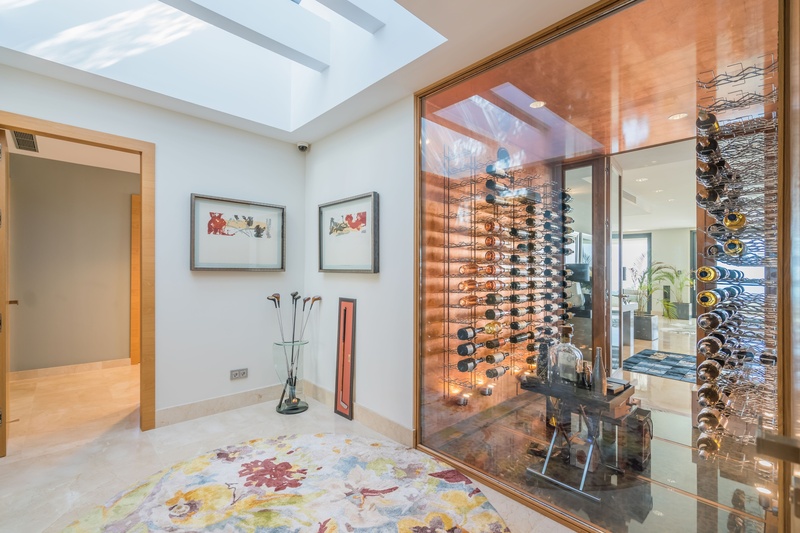 It features an open, spacious, and bright living room that unites the entrance hall, salon, and dining area with sleek integrated modern fireplaces. The one-of-a-kind architectural ceiling design, direct access to a huge terrace offer an al fresco dining area with envious sea views. 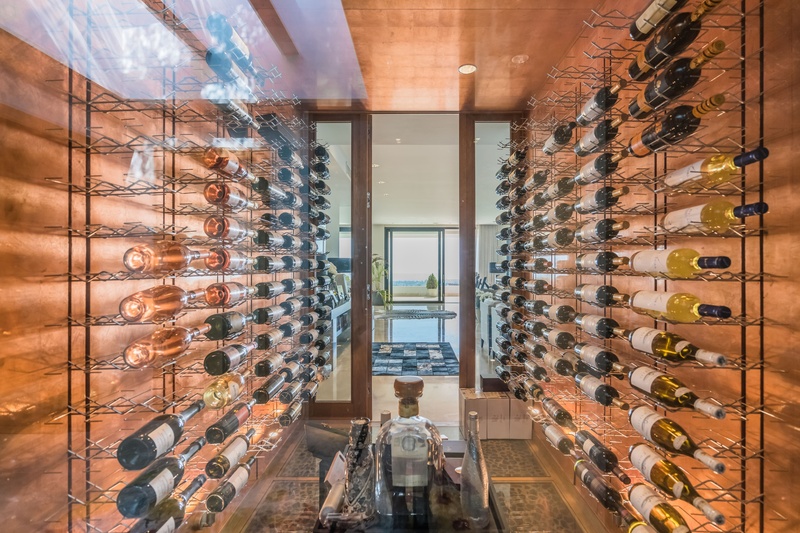 This level of fine detail, flawless custom wine room, and bespoke storage pleasing a sense of design and imagination of any wine aficionado. A stunning designer double kitchen with eating area and pantry is fully fitted with the best household appliances and professional equipment that will even make a celebrity chef happy. 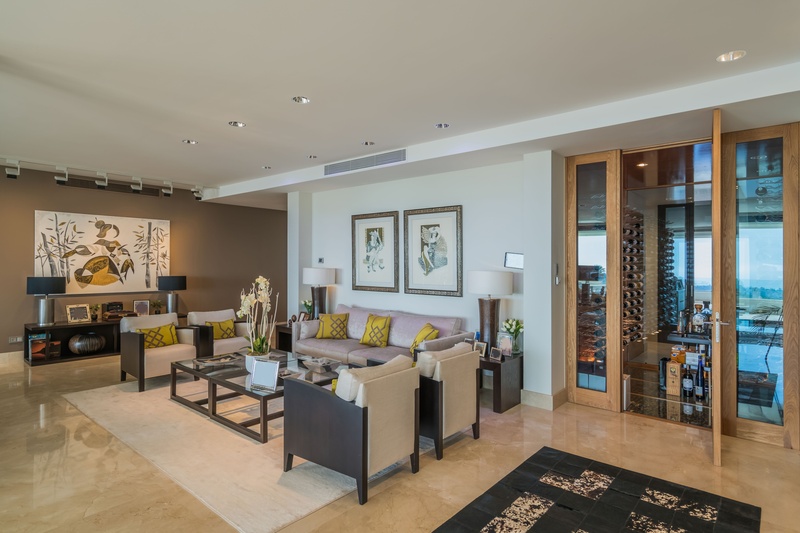 Beautifully presented with a distinct sophisticated flair, this Penthouse has 5 stylish bedrooms, 5 perfectly equipped, and quality bathrooms. Fantastic property benefits from a palette of natural colors and soothing neutrals of the spaces that exude timeless elegance and peace, still being very exciting, and comes with exquisite interiors, top equipment and appliances, floor to ceiling panoramic windows and glass balustrades, air conditioning, modern lighting, marble flooring, wooden doors, storage room, elevator, underground parking and many other features making the property truly luxurious. Class and style all the way, it boasts a separate dressing room with custom made wardrobes, and fully quipped gym connected with wonderful outside area offering a true sense of pleasure and a vibe that’s very much in keeping with tan, sip, dip and party: zero edge pool, solarium with sun umbrella area and coffee pavilion, stylish decked areas and even green lawn. 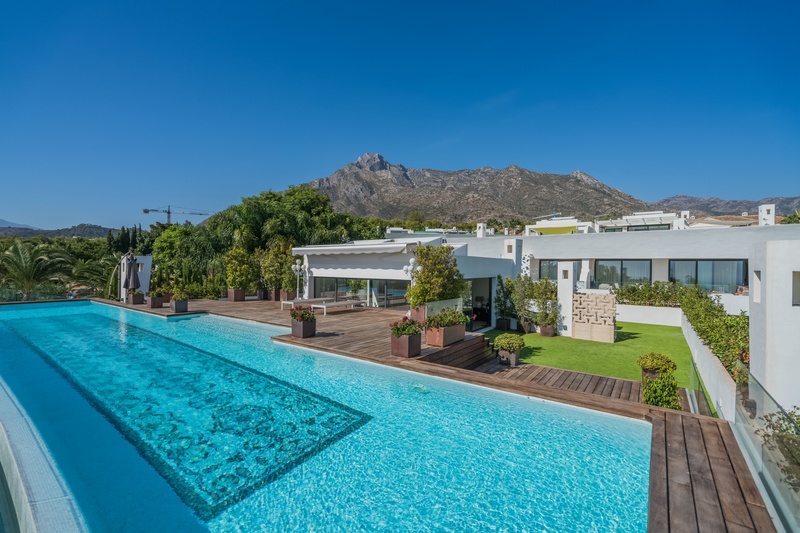 Enormous terraces provide not only mesmerizing views across the picturesque Andalusian surrounding landscapes and mountains including iconic La Concha, out to the Mediterranean towards the African coast and Gibraltar. 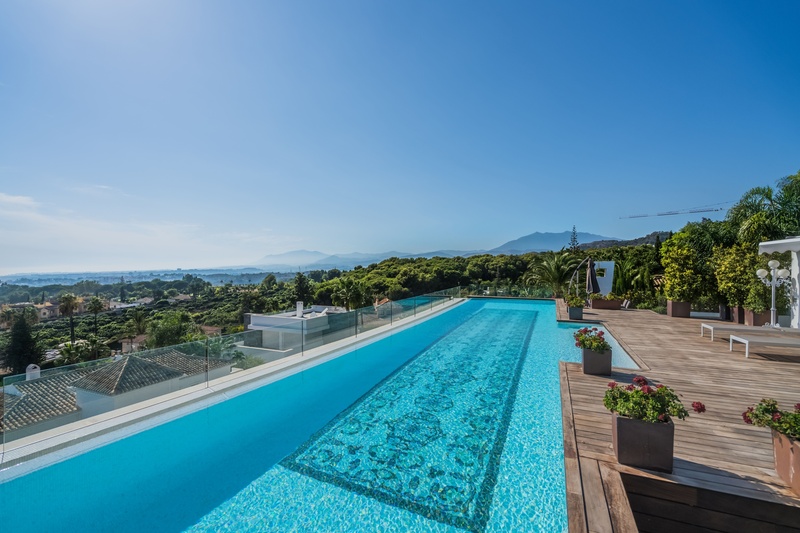 They provide your own hedonistic heaven, a special lifestyle with magic Mediterranean sunsets, no-holds-barred pool parties, loving family gatherings, ultra-trendy roof parties with sophisticated cocktails – the choice is yours! 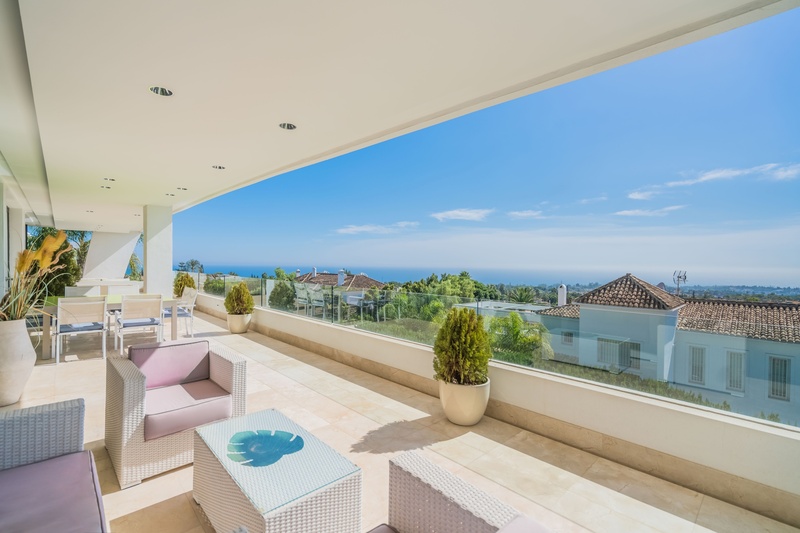 Absolutely everything makes it an ideal holiday home or permanent residence. 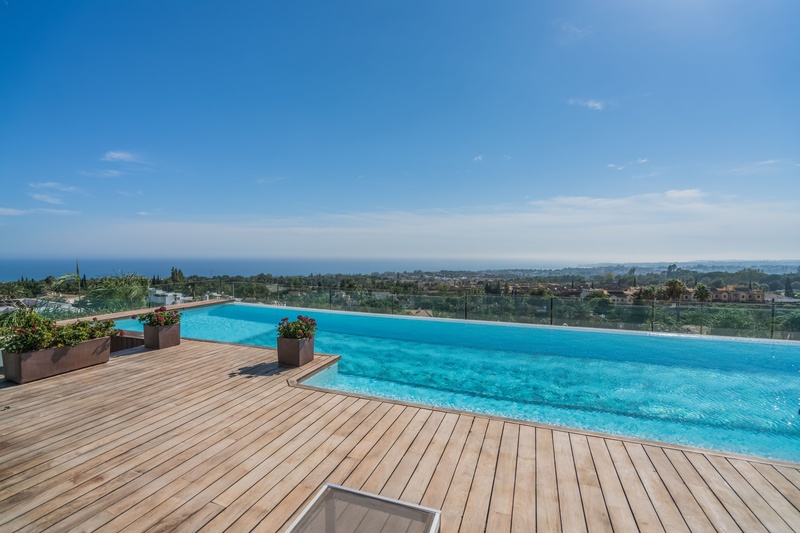 This magnificent property is situated in one of the best and prestigious neighborhoods of the coast, just a couple minutes drive to Marbella’s centre, beaches, golf courses, international schools, shopping areas and a variety of services. 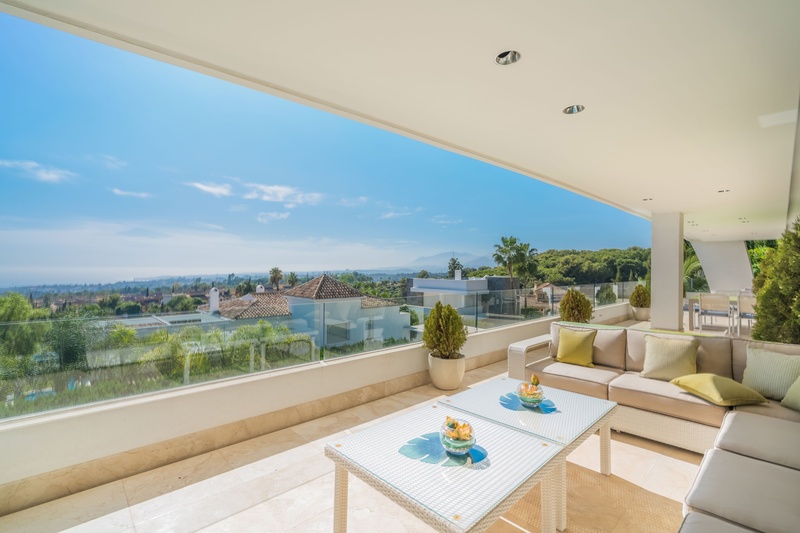 Glamorous Puerto Banus is within a 10-min drive. 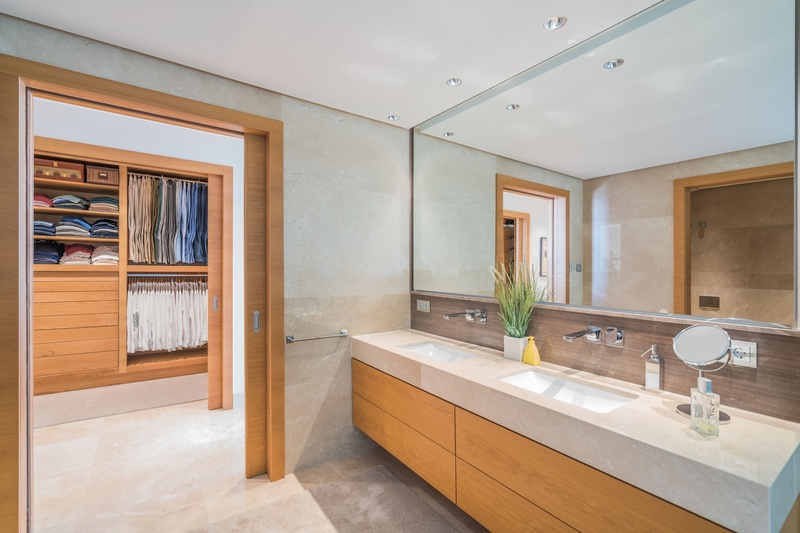 It is worth mentioning that the new deluxe modern gated residential complex Reserva de Sierra Blanca enjoys the advantages of bio-climatic architecture providing its residents with a better indoor climate, having zero carbon emissions and reducing energy consumption. Its community areas are designed for leisure and pleasure and boasts modern pools with wooden decks and solarium, wonderful landscaped gardens with mature trees, flowerbeds and natural stone wall creating magical and unique Mediterranean setting.